Sometimes you just need cake. But sometimes you are too sick to go out for a slice so you have to make it yourself. This happens to you right? Or is it just me? Well sick at home and craving cake I decided to put my fresh orange juice and some Satsuma mandarin oranges to good work. 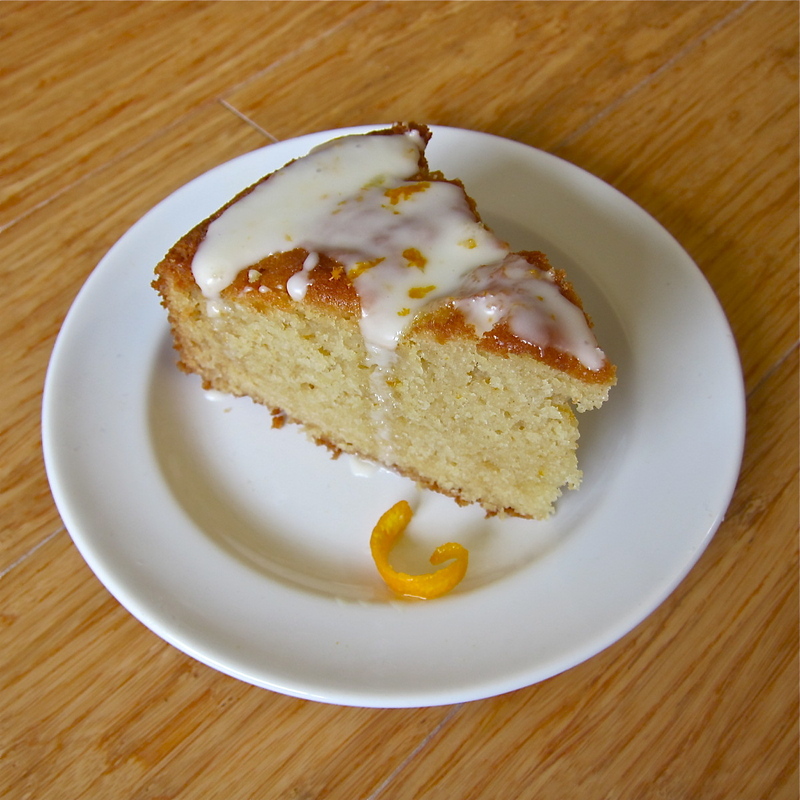 Hot out of the oven, I drizzled an orange glaze over the top of the cake and topped it with some zest. 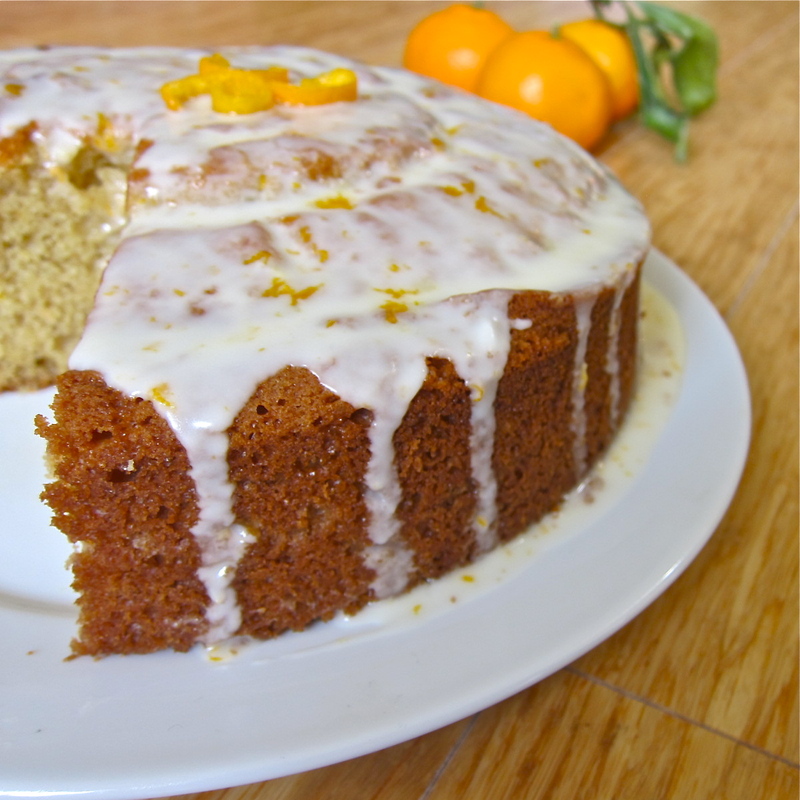 The cake is buttery soft with delicate hints of the orange. I love how it isn’t too sweet. The wonderful smell of winter citrus is intoxicating. Now this is my kind of cold remedy! p.s. if you aren’t too sick to go out for a slice of cake check out my guide below to some of the best slices of cake in L.A.
Preheat oven to 350F (180C). Grease pans with butter and lightly dust with flour. In a mixing bowl, cream together the sugar and butter. Slowly add the sour cream, eggs and vanilla until thoroughly combined.In a separate bowl, sift together the dry ingredients. Slowly add dry ingredients, mix until smooth. Add orange juice and zest, mix to combine. Place into prepared pans. If baking in 1 pan, bake for about 1 hour or until cake tests done. If baking in 2 pans, bake for about 30-35 minutes or until cakes test done. Whisk together the powdered sugar, orange juice, and zest until a think glaze forms. Drizzle over the cake once cooled. This is everything I love about a cake- moist, citrusy, tangy, sweet…it looks perfect. My parents have a blood orange tree….maybe I’ll try it with those. Thanks. This looks so elegant! 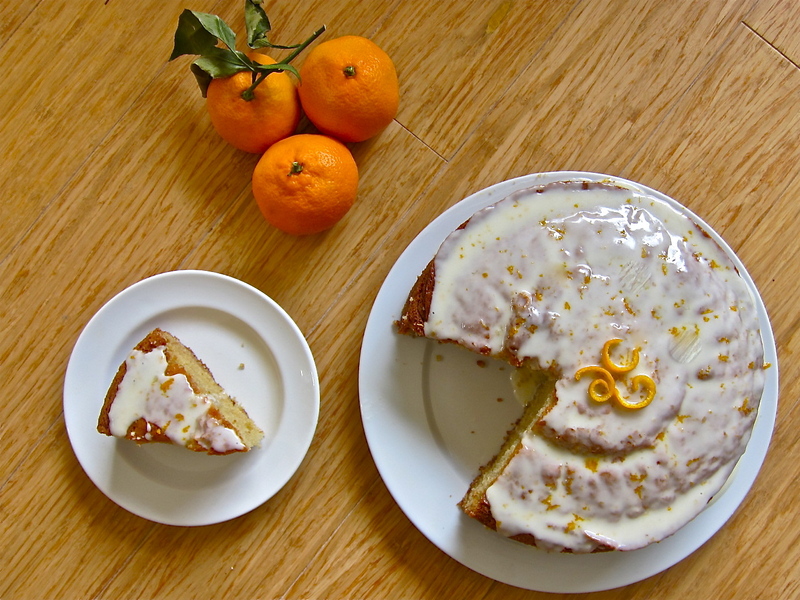 I need a good orange cake recipe , and yours looks extremely moist – I’ve got tons of cara cara oranges in my fridge ready for something special.